. Snake legends - hebi, kuchinawa daija, orochi . Ikegami 池神 Snake "Deity of the Pond"
Nagagami (Choojin) 長神 Serpent "Long Deity"
- with two heads in the 阿吽 A-Un formation, one mouth open, one closed. 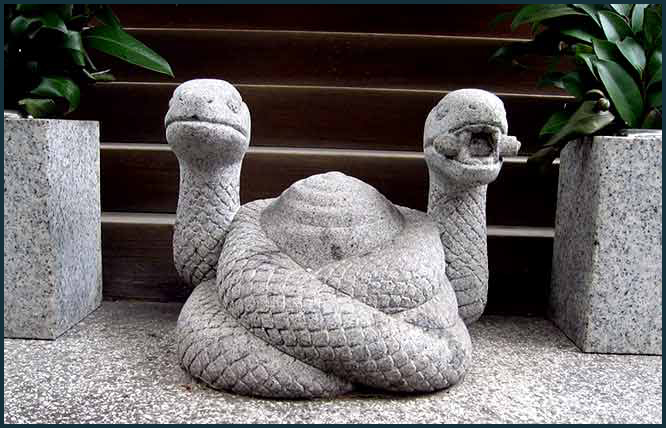 Hebigami (蛇神; snake god), Tobyo or Tonbogami. As you can see by the name, these snakes were not typical snakes, but where thought to be snake gods with the ability to possess humans. 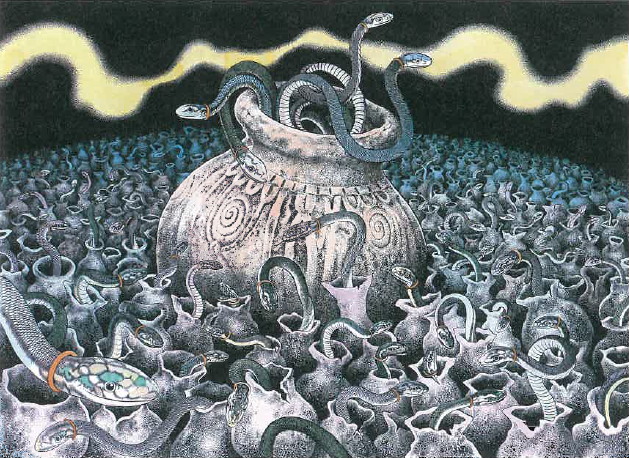 In many descriptions they do not even resemble snakes, but are more like great earthworms.
. Ise-Shima 伊勢志摩 Legends .